While both of these teams come into this tie with a 4-2 record in the Last 32 behind them, this will be the first clash between these sides. This means that there isn’t a lot of history to go on but Milan are not a team that enjoys coming to Turkey. In close to twenty years, Milan has clocked up a 1-14 record in Turkey, which will provide Banvit with some inspiration coming into this game. Banvit will take great pride and confidence from their Last 32 showing and the fact that they managed to grab an average of 81.2 points per game in that stage of the tournament. If they can maintain this level of consistency, they could place Milan under pressure. One area where the hosts have tasted success this season is with respect to three-point shots. Their 39.2% accuracy sees them ranked as the fifth best team in the tournament for this style of shooting, which has to be a plus point going into the Last 16s of the tournament. Banvit know that they need a good result in this game before they head to Italy. Milan’s record in Turkey is a cause for concern but it should be remembered that this is the first time Milan have been in the this stage of the Eurocup since 2004. The level of opponent Milan face at this stage are not at the level of their previous Turkish opponents so it would be wise to not read too much into Milan’s failures on Turkish soil in recent history. Milan has a well-balanced offensive line-up and they have 11 players that have scored at least 5 points in a game, which means that they pose a threat from all across the court. The bookies are struggling to split these sides and it may be that some folk will toss a coin to decide who grabs the all-important first leg win. 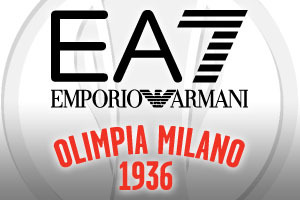 Taking EA7 Emporio Armani Milan at +1, at odds of 1.90 seems a decent bet for this game. With respect to the Over/Under market, you should look to go OVER 159.5, again at odds of 1.90. Bet Now!